A new episode, entitled Chuck Vs. Nacho Sampler, airs tonight at 8/7c on NBC. 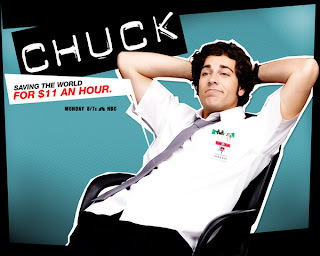 Continuing his taxing quest to balance his two lives, Chuck must train new Buy More employee Hannah (guest star Kristin Kreuk) while his spy work involves handling his very own asset, a scientist who's entangled in a nefarious organization. Meanwhile, poor Awesome must lie to Ellie about Chuck's undercover endeavors; and Morgan, Jeff, and Lester snoop into Hannah's background. Glad to see Kristin Kreuk's character returning, seems like a nice girl...but you never know. I watched the premiere episode now I need to catch up. I've been DVRing Chuck though!